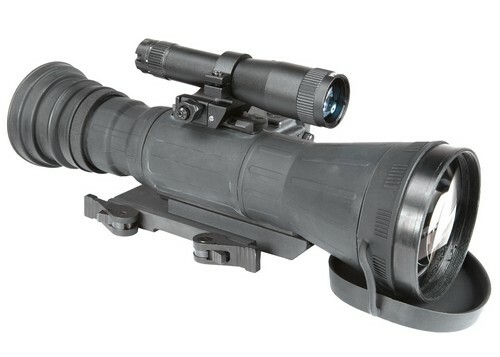 The Armasight CO-LR (Clip On – Long Range) is a night vision unitthat mounts in front of an existing day Multipurpose Viewer, and converts the dayMultipurpose Viewer to night vision capability up to ranges of 1000 yards. 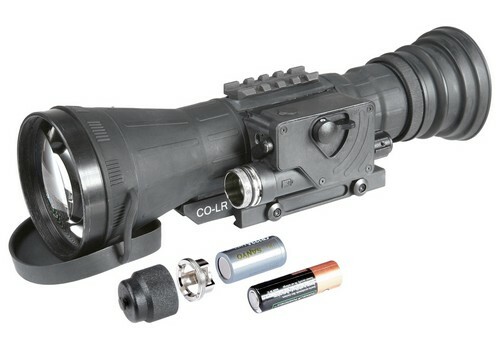 Suitablefor use with most commercial and military specification day time sights,teleMultipurpose Viewers or binoculars (up to 12X magnification), the CO-LR can bemounted/dismounted on a standard Picatinny rail in seconds, and with notools required. Because the CO-LR is mounted in front of your own dayMultipurpose Viewer, the shooters eye relief is not altered, and shot release andfollow through all remain intuitive – because the unit is factorybore-sighted to better than 1MOA accuracy, no alteration in zero isexperienced, so it really is as simple as mount-focus-shoot, just as inday time. The Armasight CO-LR is intended primarily for use by themost demanding hunter or long range target shooter, but with a buildquality that makes it capable of so much more -its MIL-STD-810 housingis designed to take just about anything the great outdoors can throw atit. The CO-LR is packed with innovative features like variable gaincontrol, bright light shut-off, wireless remote control. 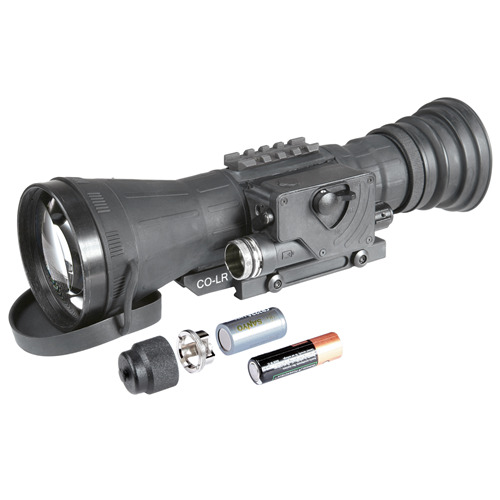 This nightvision clip on is designed to make long range night shooting just aseasy and accurate as shooting over the same terrain during daylighthours with your day Multipurpose Viewer alone. Whether your day Multipurpose Viewer is a wellknown brand or not, the Armasight CO-LR will work just as well atmagnifications anywhere from 3X to 12X. 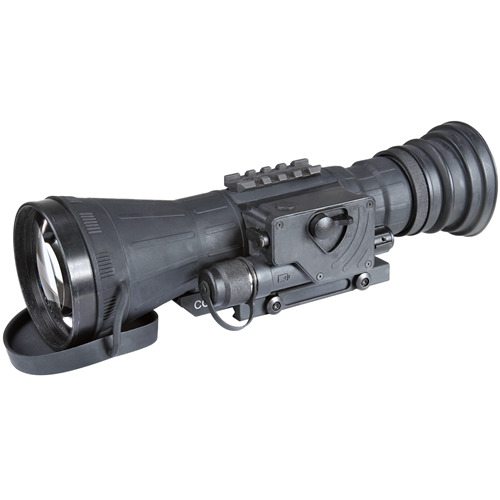 The Armasight CO-LR HD is equipped with a High Definition Gen 2+ image tube providing the resolution of 55-72 lp/mm.